With hand applique when appliquing simple rounded shapes like a circle (center of a Dresden Plate) or a heart, it is a good idea to cut a cardboard template. 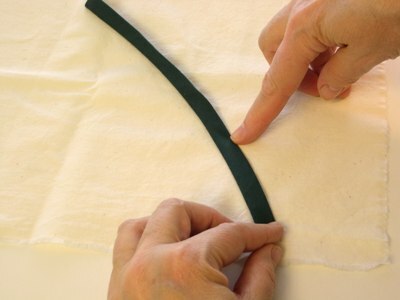 Cut your fabric circle about 1/4" larger all around, than the template and hand sew a running stitch about 1/8" in from the edge of the fabric. Place the cardboard on the wrong side in the center of the circle and pull the thread snug, making a perfect circle. Press with steam from each side, then loosen the thread and remove the cardboard. Now sew your perfect circle to your block with either a blanket stitch or a blind slip stitch. For the heart, cut the heart shape about 1/4" larger than the cardboard template and hand stitch a running stitch about 1/8" from the edge, starting and ending at the cleavage (top center). Make one small cut from the edge of the seam allowance to the center of the cleavage, as shown. 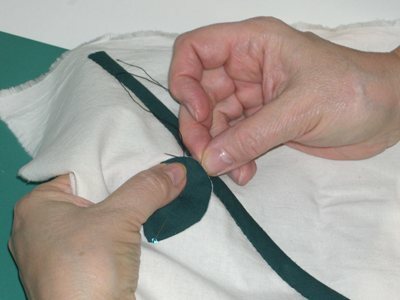 Place the template in the center of the wrong side of the heart, and carefully pull the thread snug. Press both sides, then remove the template. You can now blanket stitch or slip stitch the heart to the background fabric. 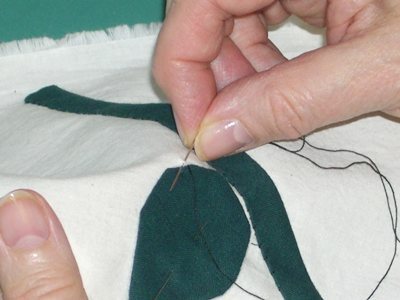 To make a ½” curved stem for your appliquéd flower, cut a bias strip 1½” wide by the length you wish. 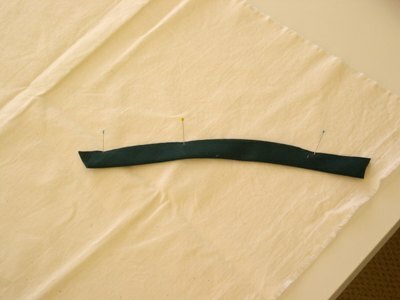 Lay the strip down with the raw edge along your pattern line, overlapping by ¼”. 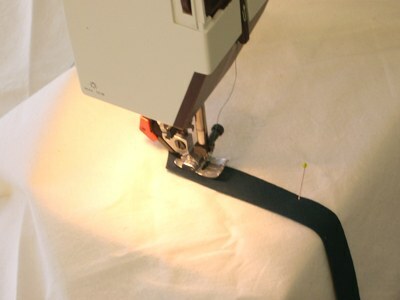 Using your sewing machine, stitch ¼” in from the raw edge. 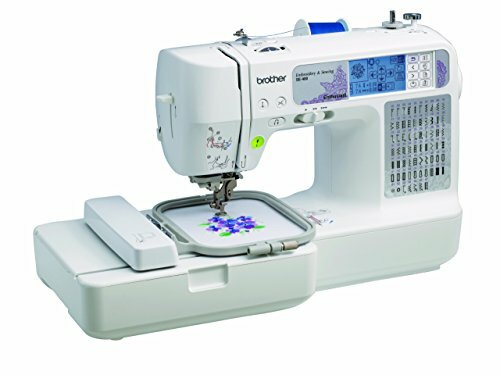 This stitching line will be along your pattern line. 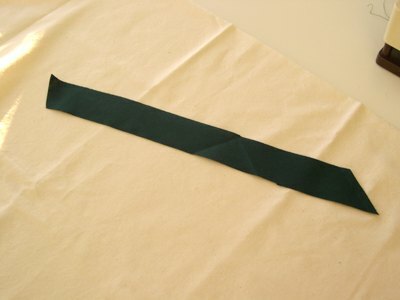 Fold your bias strip over the stitched line, and hand appliqué the folded edge. Finished with "Hand Applique" Return to "Applique Techniques"